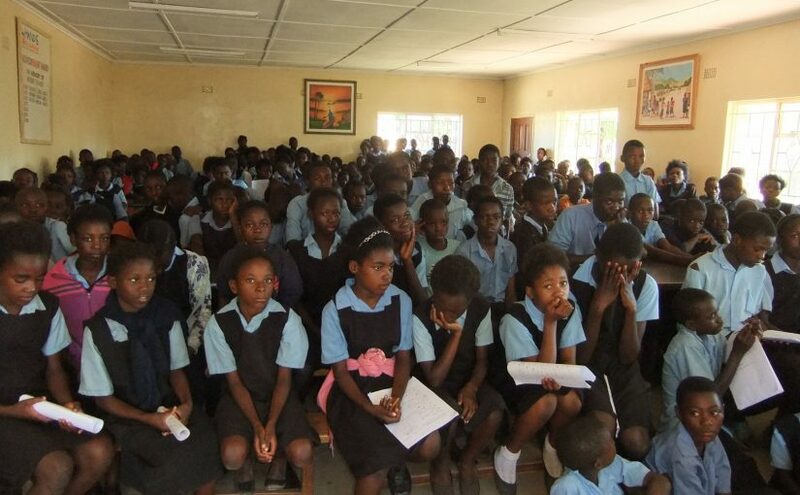 There are increasing numbers of children who are not going to school, so the Ministry of Education have persuaded all schools to increase their intake to accommodate more pupils in school. 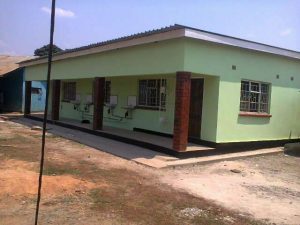 Hands of Compassion School now has 600 pupils. Miriam Kalunga, 10 years old, is chosen as the one out of 600 pupils who made the best performance in the Hands of Compassion School. She was presented an Achievement Award medal and certificate, as well as a school bag and Tshirt. In December we received news that 80 out of 82 of our Grade 7 students took and PASSED the end of Primary School examinations. That is a tremendous result. It is always a privilege to see the hard-work that our students put into their education throughout their time at Hands of Compassion School, knowing that they, through your generosity in supporting the school, can make their dreams a reality. 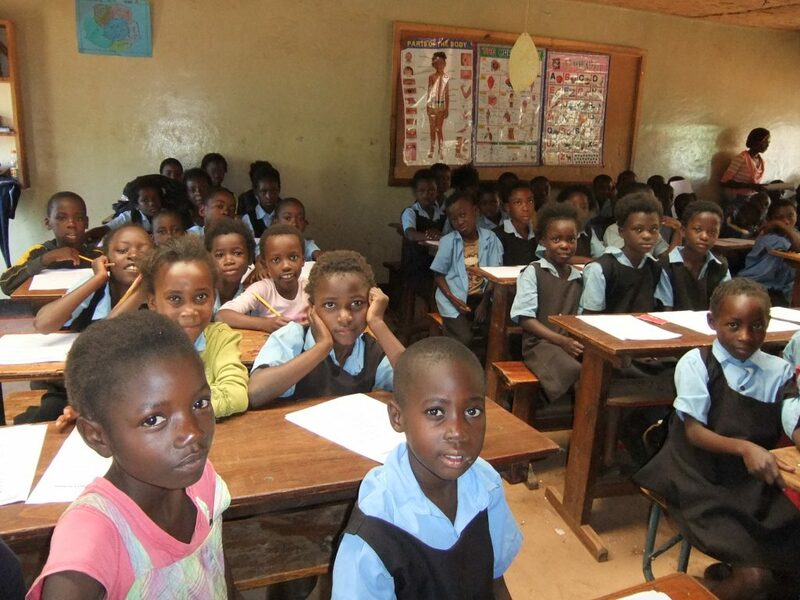 By offering primary education to these students we give them a hope for the future. 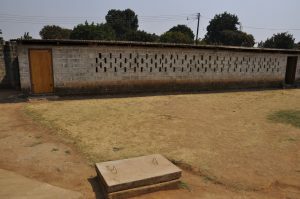 Abbishy was a former pupil at the school in Chipulukusu. Abbishy’s father died when he was very young and his mother died when he was 12 years old, leaving Abbishy to be looked after by his older brother. It was very tough for him, leaving his home with just one small plastic bag, no blanket or bedding. There are many children who live in similar circumstances, no bed to sleep on, just the floor or an old chair, sharing a blanket with one’s brother. Coming home from school but having no good light to do homework, just a paraffin lamp or candle. 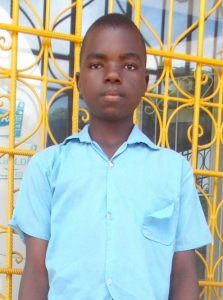 Yet despite these tough conditions, Abbishy worked hard and is now studying to be a Teacher at College, completing in December 2018, when he hopes to become a Teacher at Secondary school specialising in Mathematics and Agricultural Science. Paul was a former pupil at the school in Chipulukusu . Paul’s father died when he was only three years old and his mother and grandmother died in tragic circumstances whilst he was at Secondary school. 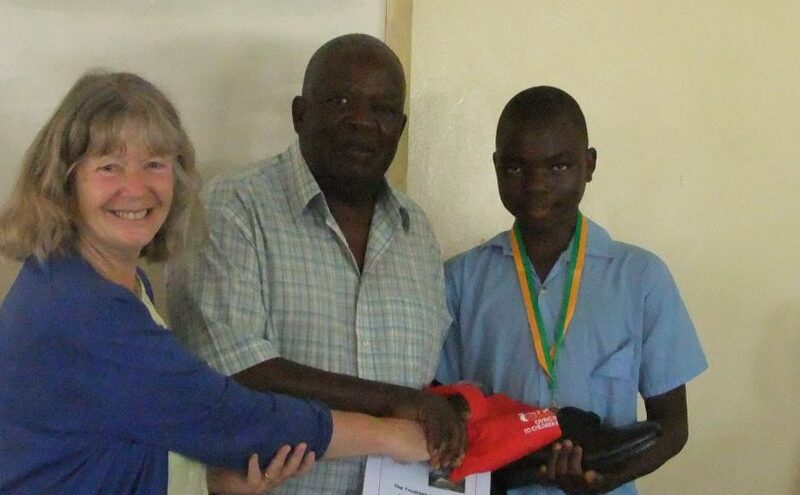 Despite the hard struggles that Paul had to face, he did exceptionally well at school. Paul’s wish had always been to become a Doctor. He was accepted as a student at University and attained his degree in BioMedical Science. He is now continuing the second stage of his studies to become a Doctor – “This is my will, to work extra hard, God has helped in every step that I do, I want to be helping patients who are in need and facing obstacles in life” said Paul – he is following his dream! Paul Sambwa, former pupil at Hands of Compassion School, has passed his University examinations in Biomedical Science at the end of his 3rd year. Paul now moves onto a Masters Degree course leading to qualification as a Doctor. We are very proud of Paul and his achievement, and wish him well. 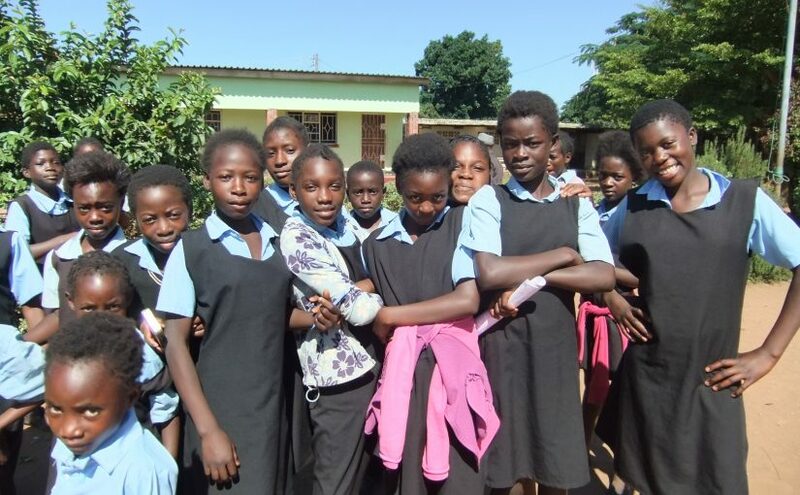 Following changes in the Zambian Ministry of Education regulations, the status of Hands of Compassion school has now become a Community school. This means that the objectives of the UK Trust Deed need to be refined and as a result, expand to include supporting other educational projects. A decision has been made by Trustees and supported by many donors, to now start the process of implementing these changes. 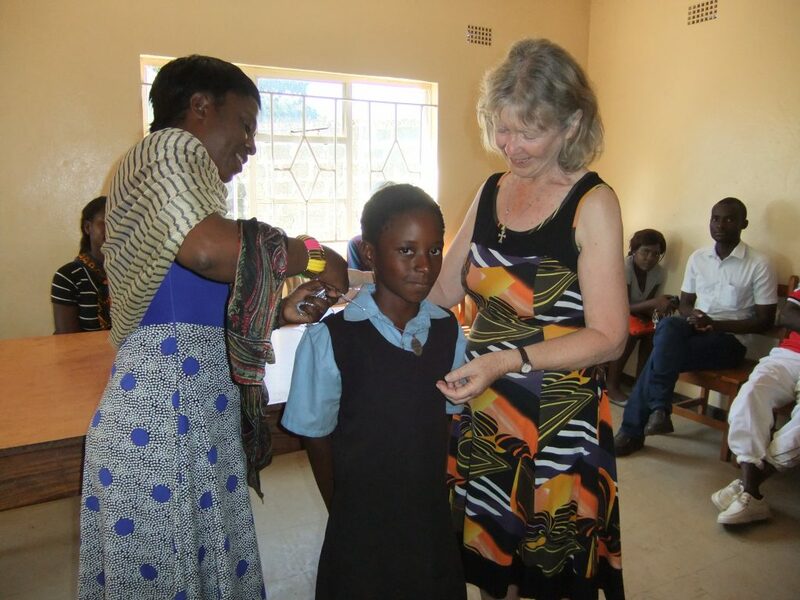 In December we received news that all 41 of our Grade 7 students took and PASSED the end of Primary School examinations. That is a tremendous result. 18 of these students, because of their high pass mark, have been automatically awarded a place at Kanseneshi High School. The prominence of the new dining hall is amazing. In just over a year we have gone from Chicken Shed to Dining Hall. With space to seat a third of the school each day for lunch, there is such excitement as the Dining Hall is in use. Thank you to everyone who made this project viable. We hope to bring you some photographs soon of the building inside. The finished Dining Hall (This photo was taken by the builder). The chicken shed used to house a few chickens before it became too costly to keep them.